The Curtis TLP Thermal Low Profile Commercial Brewer is small but mighty. Petite enough to fit in a hobbit or goblin kitchen and with enough capacity to satisfy thirsty dwarves and elves. Whether your cafe is located in Middle Earth or on regular old planet Earth, everyone wants to maximize counter space. Advanced Digital System: Smart card control of the brewing process. Pulse Brew Technology: Three pulse brew options allow you to match your fresh ground coffee to the right brew recipe. Program the Temp: Factory set at 200 degrees with the ability to switch from 190 up to 206 degrees. 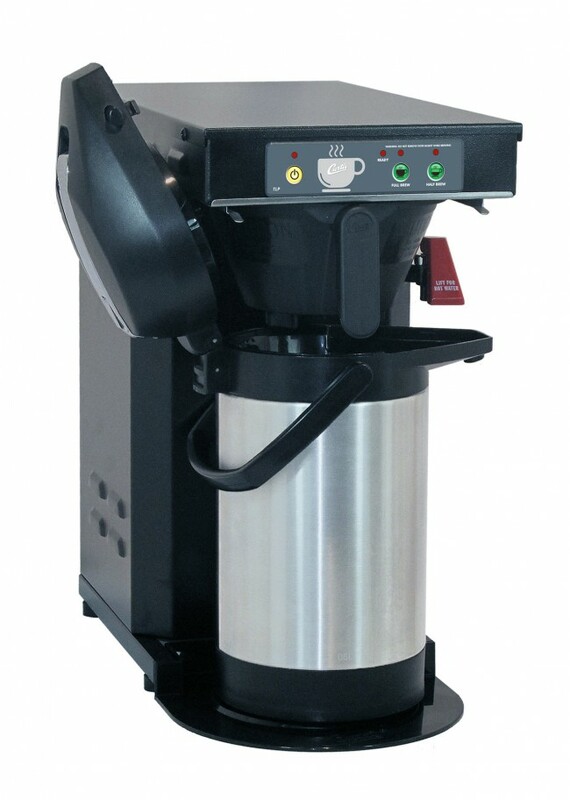 Sprayhead Evenly saturates the coffee grounds to extract the richest, fullest flavor from every type of coffee. Clearance Brews into an airpot with clearance of 11.5 inches. Halvsies Able to brew a half pot as well, 42 oz/1.25 liters. Hot Water Convenient hot water spigot on the side.